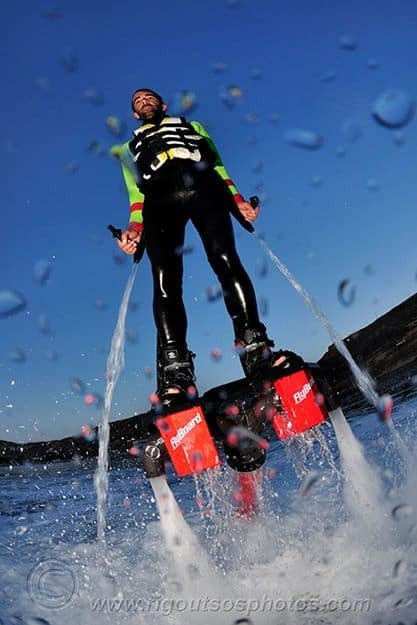 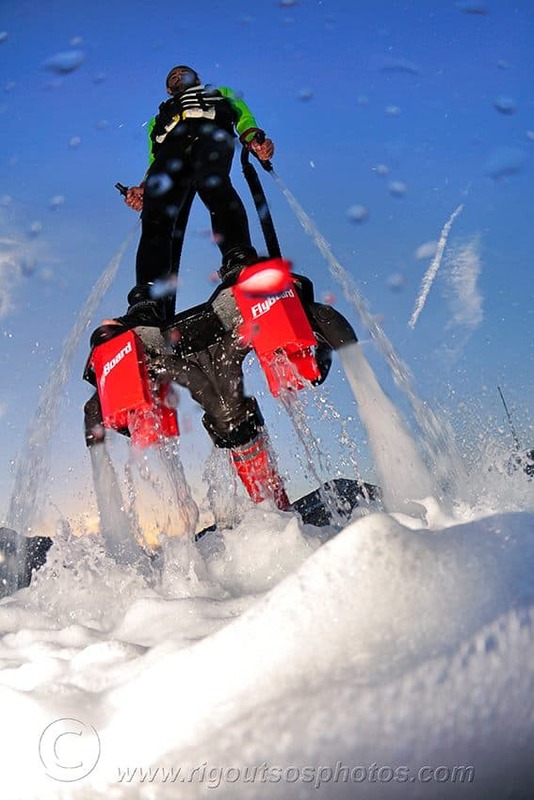 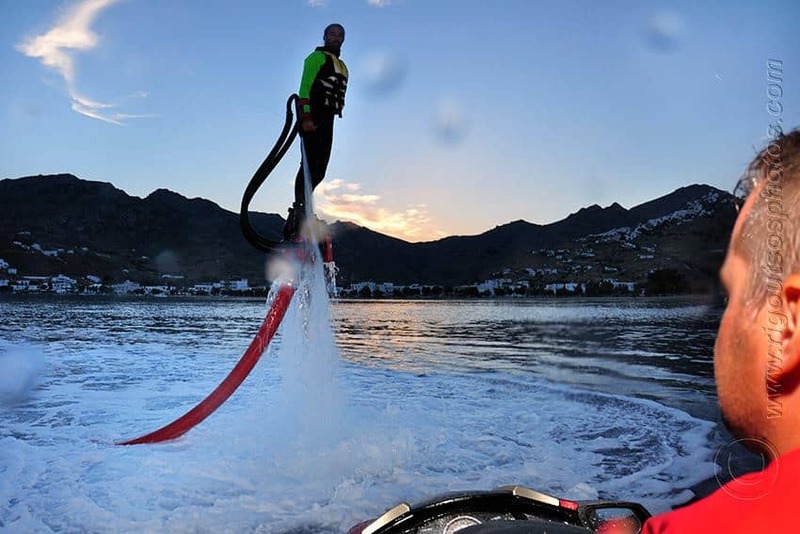 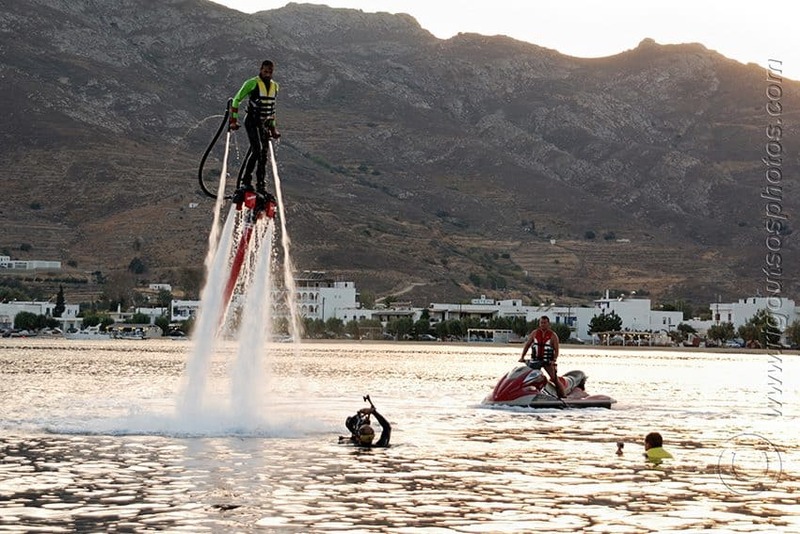 The Flyboard is an amazing machine, powered by a jet ski, that allows propulsion underwater and in the air. 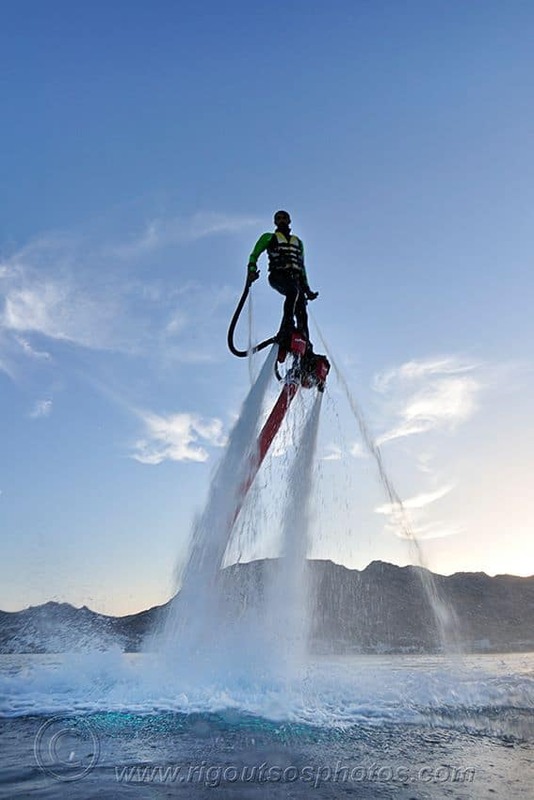 Flyboard is very intuitive and once you find your balance you can start flying in the air or jump like a dolphin out of the water. 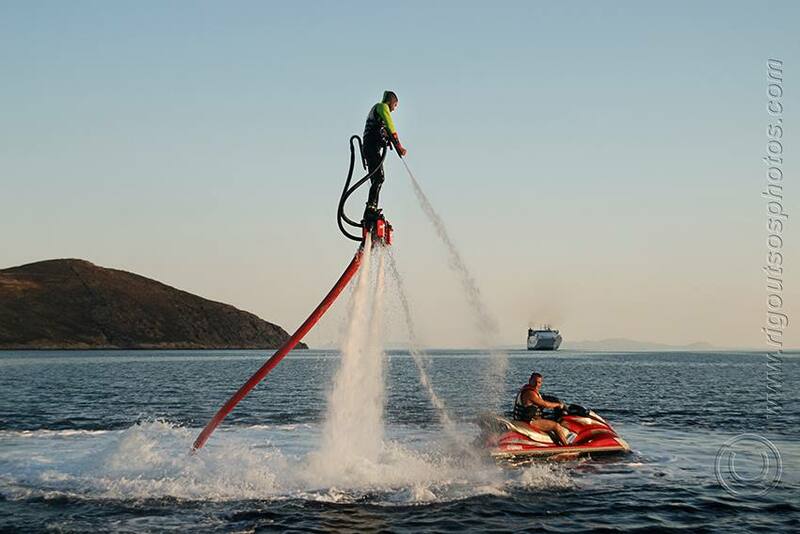 Riding between the sea and the sky. 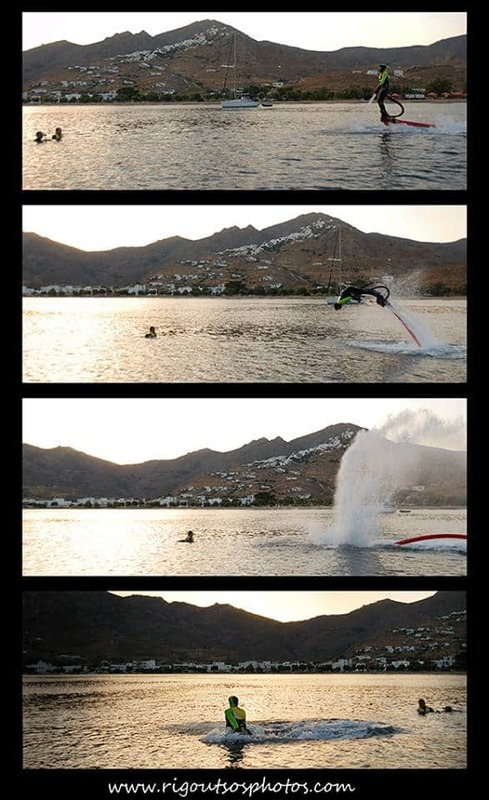 A show unique in the world! 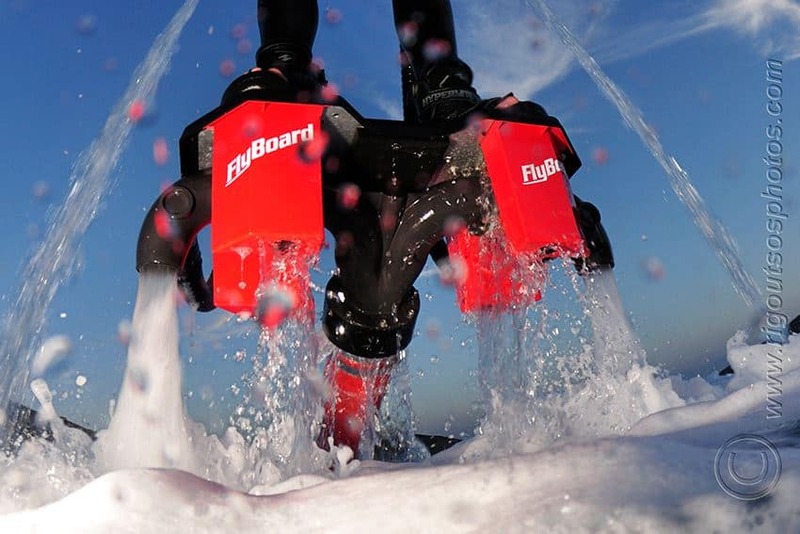 As explained previously the Flyboard is very intuitive : it’s like learning to walk. 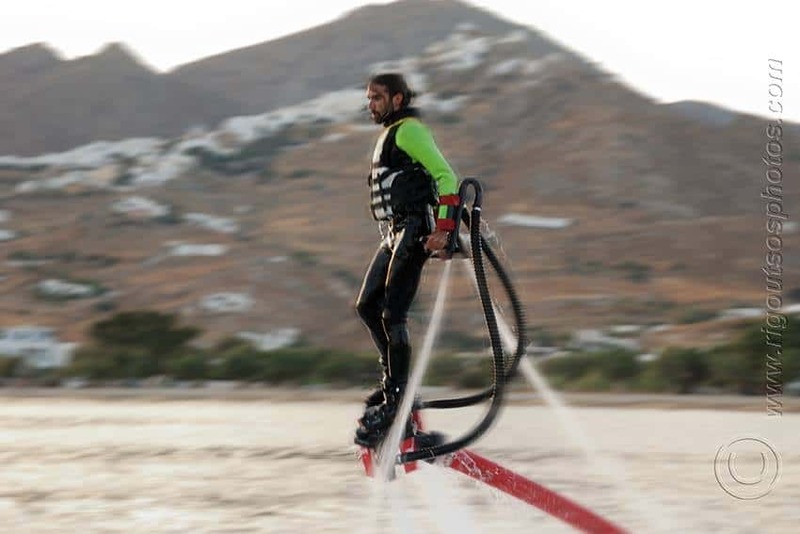 Find your balance and you will become Flying Man or Dolphin Man! 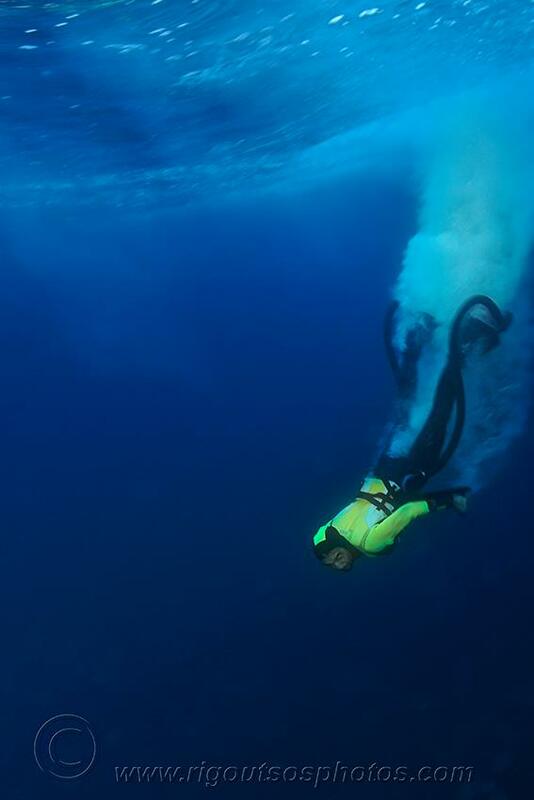 Between 2 and 20 minutes are needed to learn with an instructor and 20 minutes/ 1 hour without. 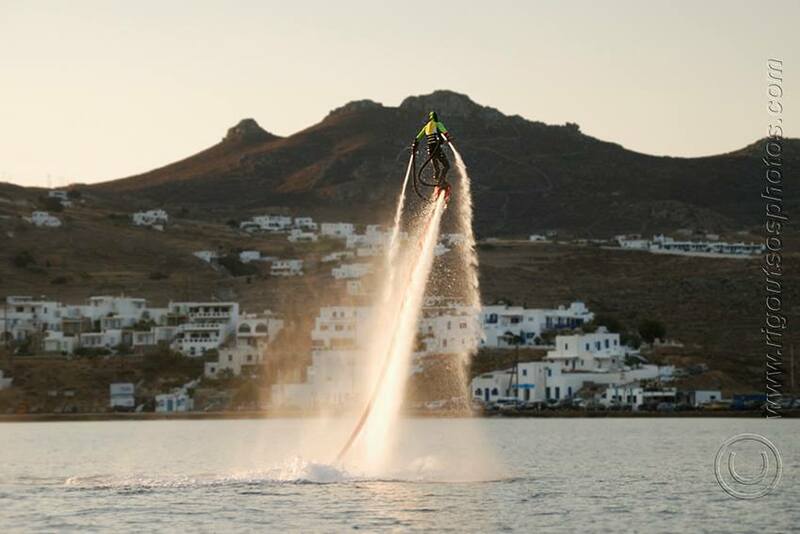 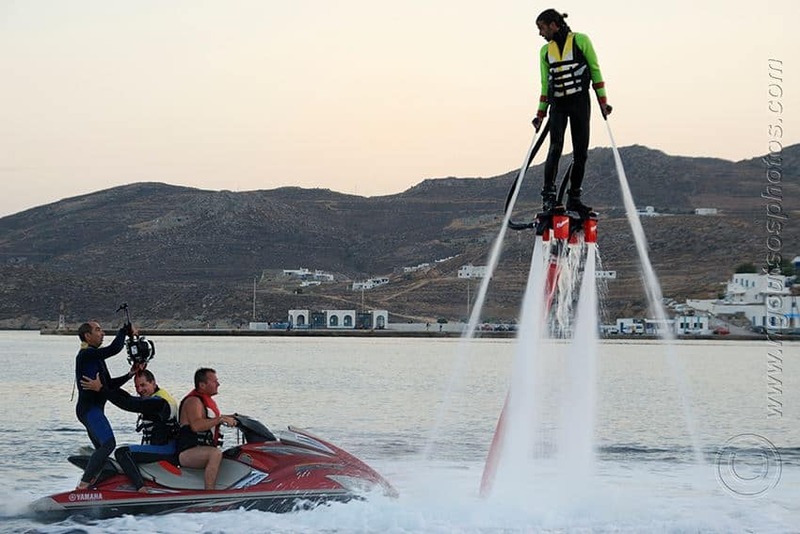 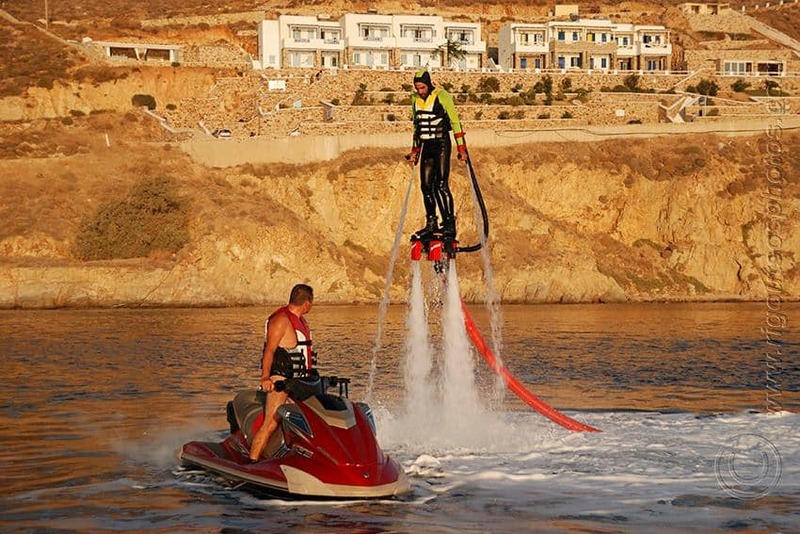 Then you will be able to take off from water and enjoy your Flyboard for hours! 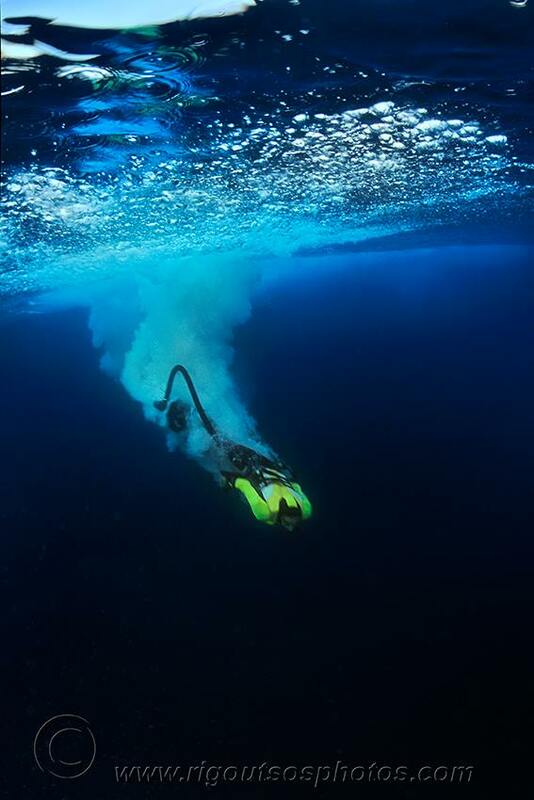 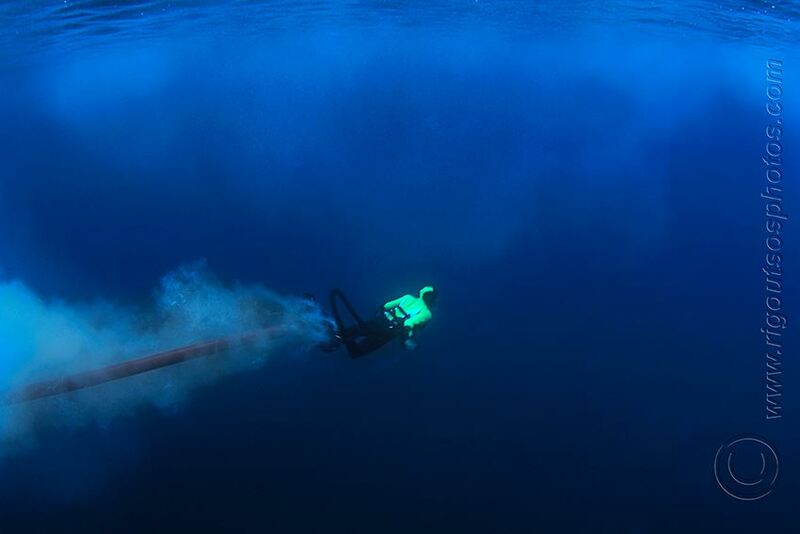 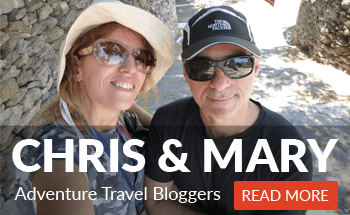 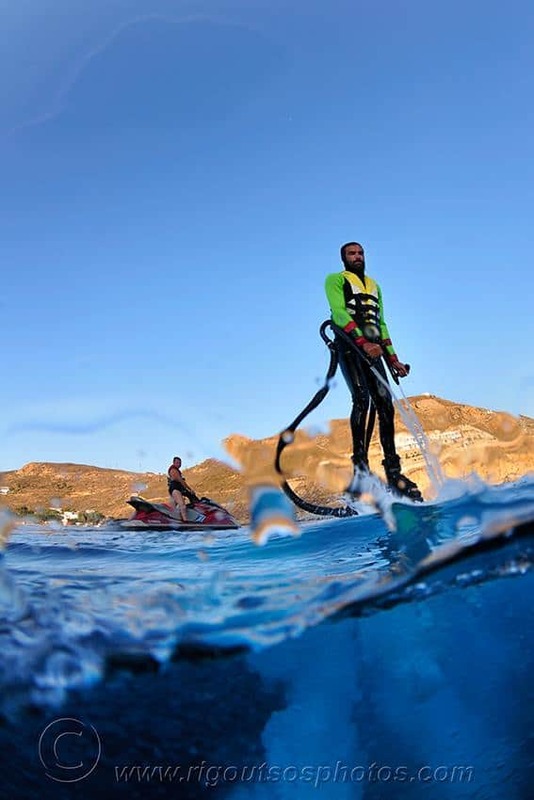 — Article by Serifos Scuba Divers. 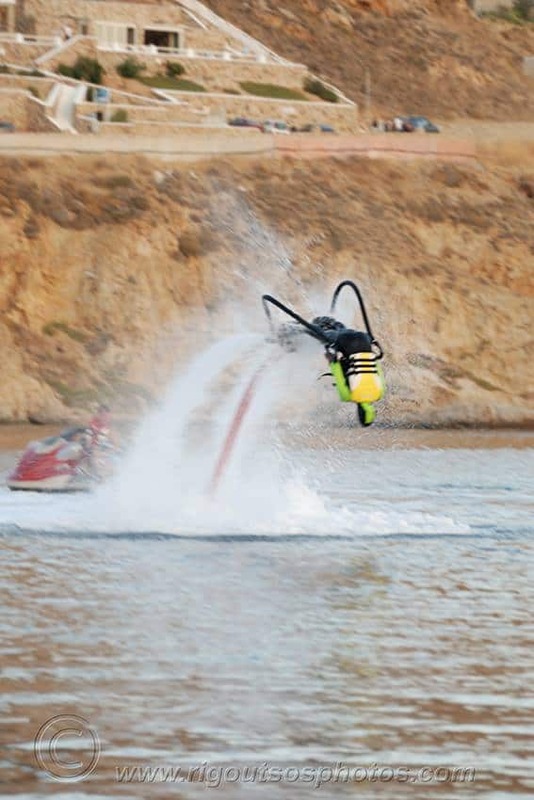 Contact the organizers through +30 6932570552, or through their contact data below.